I am so sorry to hear this news. Bill Howley’s comments, news and insight into the results of large-scale issues in business and the environment and helped many of us understand the far-reaching effects of the problems that affect us all. His insights and wisdom will be missed. I first met Bill and later his wife when we worked together to Stop Path. Thanks to their work and many others, we did Stop Path. But Bill was concerned with the many proposed projects planned by Gas and Oil – much to the detriment of the farms and property values and real natural beauty of West Virginia. His wisdom, his deep knowledge of the law, his understanding of the legislative process all contributed to his positive actions on behalf of many who care for West Virginia as a unique eco system. He will be missed so much – hopefully he is in heaven now working for us there. Yes, I believe he is. Thank You, Bill and your family for being such a instrumental gift to those in West Virginia who care. Please accept my sincere regrets on the untimely death of Bill. He will surely be missed, though probably not by the electric utility industry. The mantle must now pass to others. So so sorry Loren. What a terrible loss for so many reasons. Such a smart and interesting person. Kelly Elswick-Hall, Jeff and Ella. Our thoughts and prayers are with you guys. We are very sorry for your loss. Bill was a kind and generous supporter of energy activists everywhere. I will miss him. Bill managed energy-related affairs more comprehensively than any human I’ve met. I met him through his work and the communications he shared like this blog. The image I’ll always carry with me is Bill circling his field cutting hay or working in the garden with many loves on his mind. A careful reader who developed better solutions and sustained communications with utilities, politicians, activists, other writers and ratepayers. He challenged all– especially ratepayers to resist being passive consumers. Bill seemed to grow stronger when selfish interests won momentary victories. I already miss Bill very much, and I never had the opportunity to meet him face to face. Bill, your wisdom is flourishing. Many opposing unnecessary utility investments are learning to communicate with fact, offering superior detailed solutions and avoiding fighting words. Your techniques are encouraging sharing and healing. Rest in peace. I am so sad to lose such a great champion of making things right in this world! There are so few like him. He leaves a great legacy for us. My condolences to Loren and family. Sorry to hear news of the passing of Bill. Though it has been many years since I have spoken with Loren or Bill, I consider them friends. Loren, through her office, did some work for me in 1999-2000. Thoughts and prayers to the family! Loren, I am so sorry for the loss of Bill, he was a fantastic warrior for the State of West Virginia!! He will be missed by many!! Many prayers! I join others on this list in expressing my heartfelt sadness over this event in our lives. We came to rely on Bill’s every post, his phone calls, and his great affinity for everything not normally covered in the everyday press. His passion for fairness and equality for all including ratepayers who just pay the rate without ever realizing what goes into it. He never sought notoriety but he was a notorious defender of the US Constitution, the bill of rights and American citizens rights to freedom and independence. I have lost my mentor, my rock, and my friend, he will be forever remembered as a caring, intuitive, and wonderful human being. 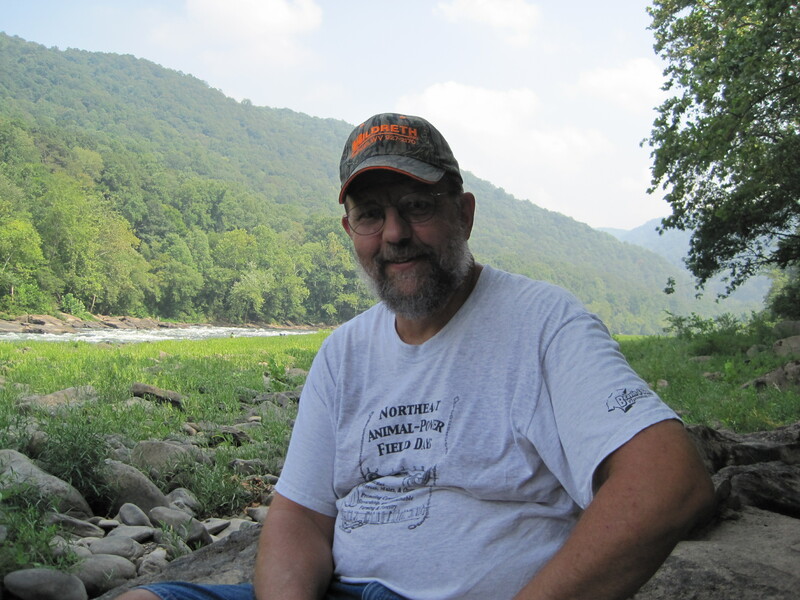 A sudden gaping hole has opened not only in the lives of Bill’s family and friends, but in the progressive and environmental communities in West Virginia. In that latter regard, his willingness to go beyond believing and thinking and talking — his willingness to dig deeply into research and study in order to craft and support his positions was not exceeded by anyone. He will be missed. I have always enjoyed the wit and wisdom of the Power Line. A pure heart, a fine mind, and a powerful voice for West Virginia Energy. I join all those who will miss Bill by keep his family and friends in my thoughts and prayers.